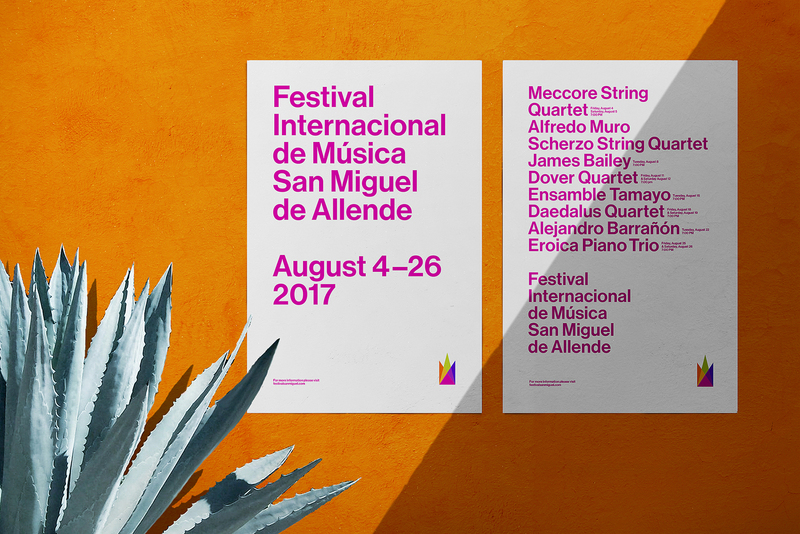 The San Miguel de Allende International Music Festival attracts hundreds of people to the city of San Miguel de Allende, Guanajuato every year. 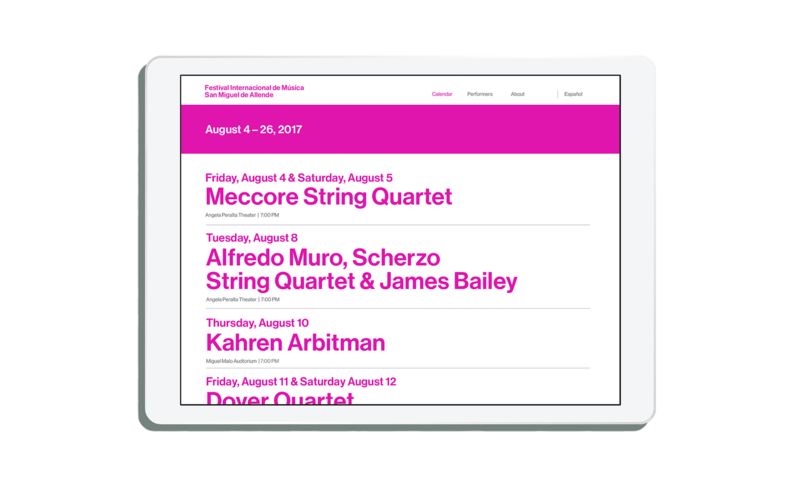 Talented performers from around the world come together for this month-long line up of chamber music. The festival began 39 years ago and has contributed to the city's long-list of performing arts. 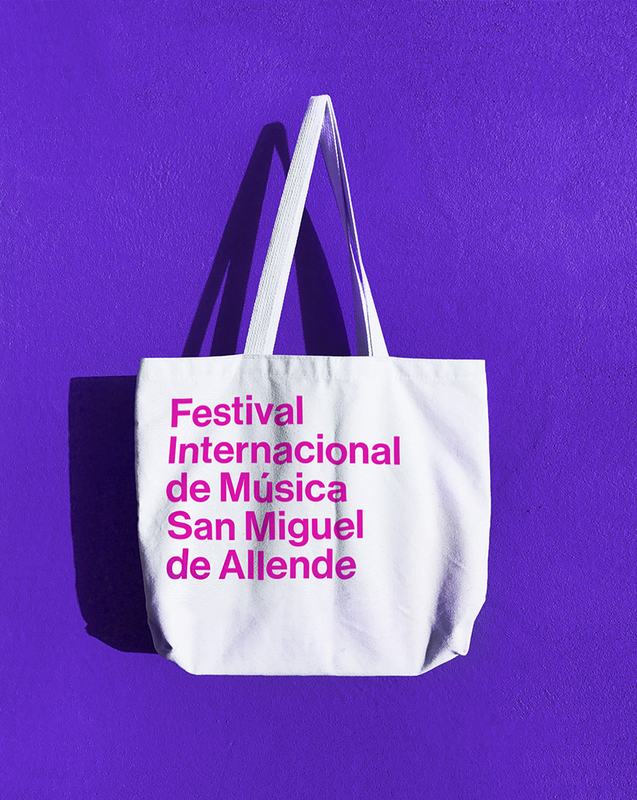 Inspired by San Miguel de Allende's bright colors and variety of architecture, the new identity preserves the city's culture and introduces a contemporary style that helps the festival stand out. 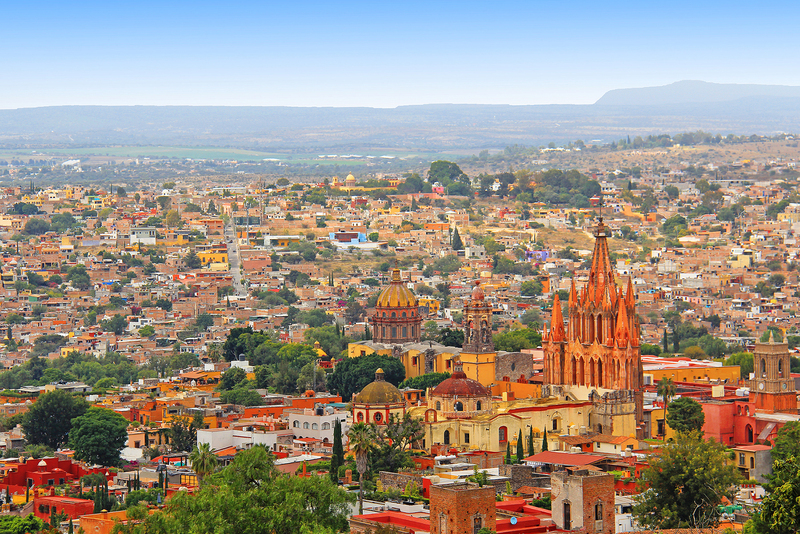 The Mexican city of San Miguel de Allende in Guanajuato was recently declared a World Heritage Site by UNESCO. The city’s cultural wealth has made it a popular destination for people internationally. Residents take great pride in their colorful and well-preserved Spanish and Colonial architecture as well as their fine and performing arts. 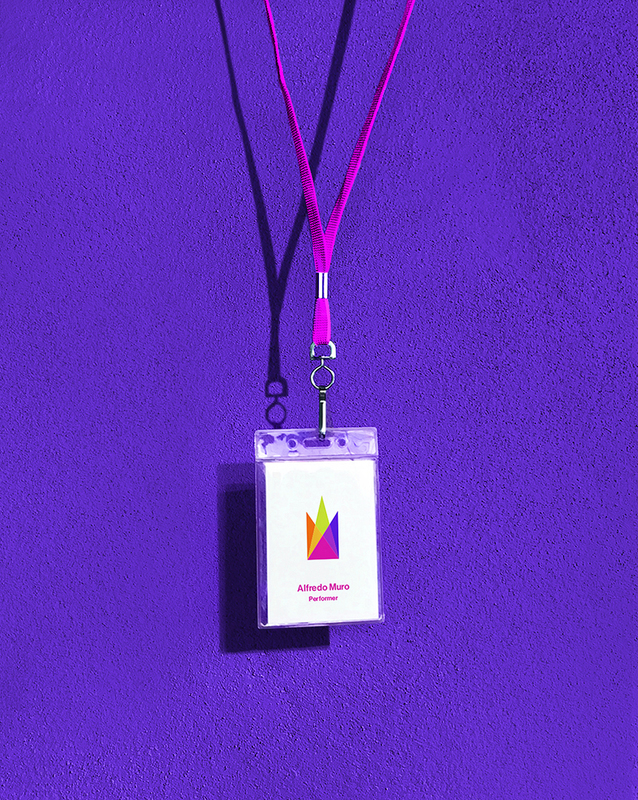 A six-color logomark composed of three triangles represents the spotlights at the festival. These triangles are overlaid to form the shape of the Parroquia De San Miguel Arcángel—an important icon of the culture and pride of the city and festival. The festival's typography is the primary source of identification. The color "rosa Mexicano" is known for it's use in Mexican culture and also as a symbol of charisma. A classic sans-serif font is used to appeal to a younger and broader audience internationally. 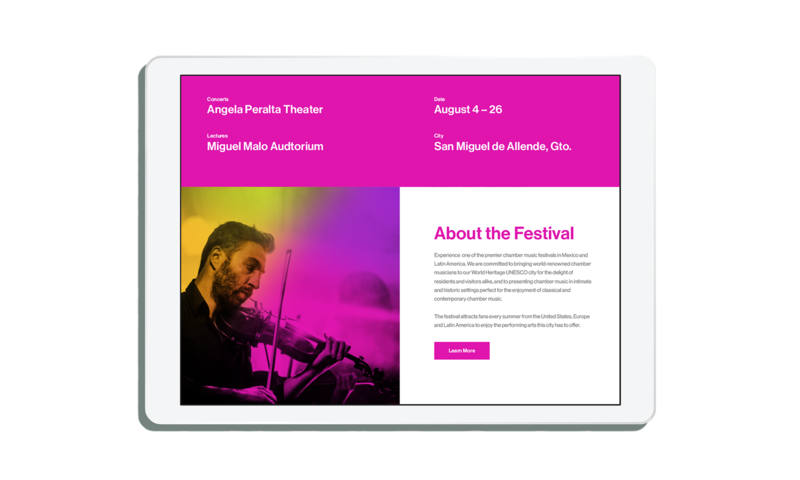 The festival is particularly popular to people outside of Mexico, so the paper system is intended to assist with rich information about dates, history and performances. 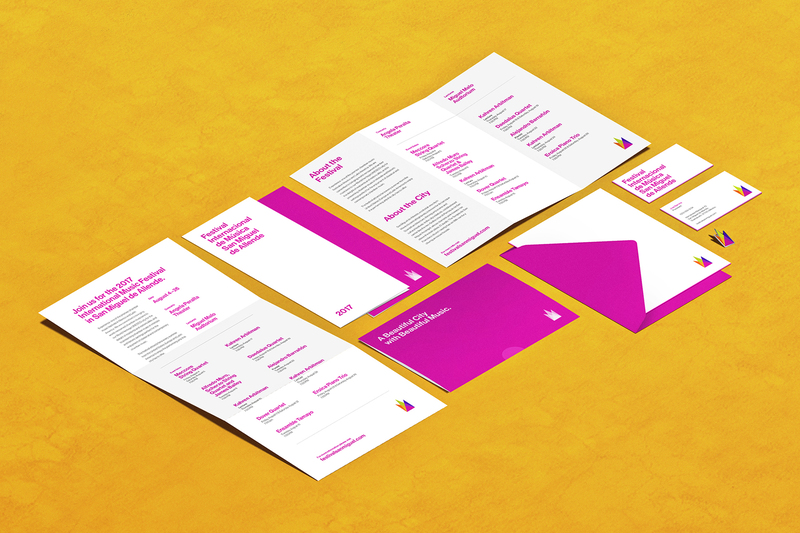 The system includes a mailable trifold, festival program, personalized greeting cards, and staff business cards. 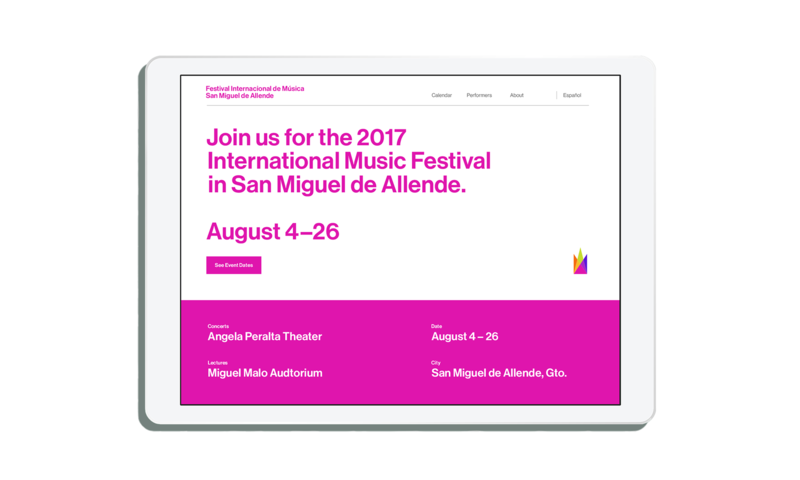 The website organizes the festival's content and serves as a useful tool to look up event dates and locations. 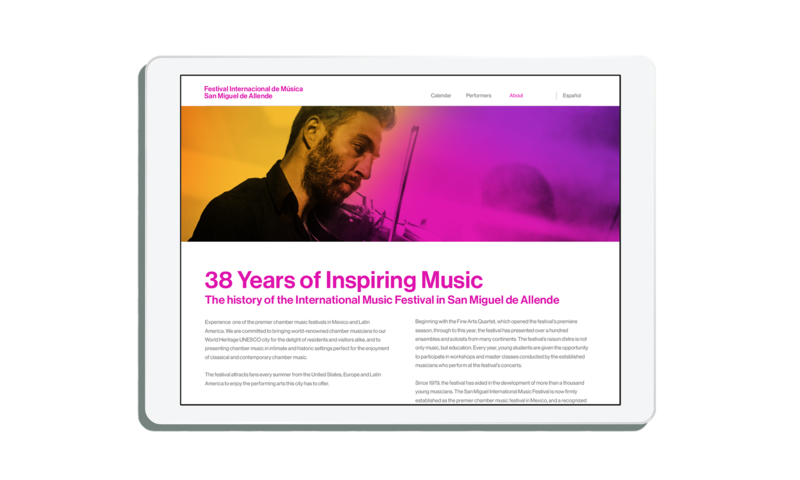 The site also contains the festival's history as well as information about the city. 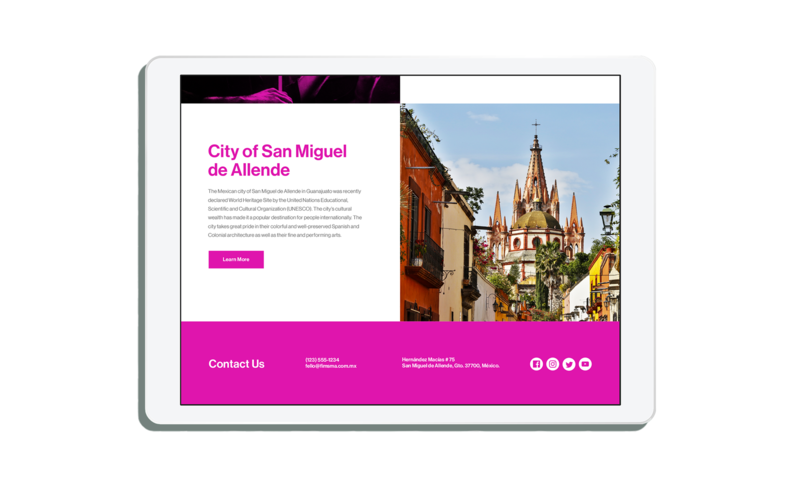 This makes it easy for visitors and tourists to become familiar with the city and festival. 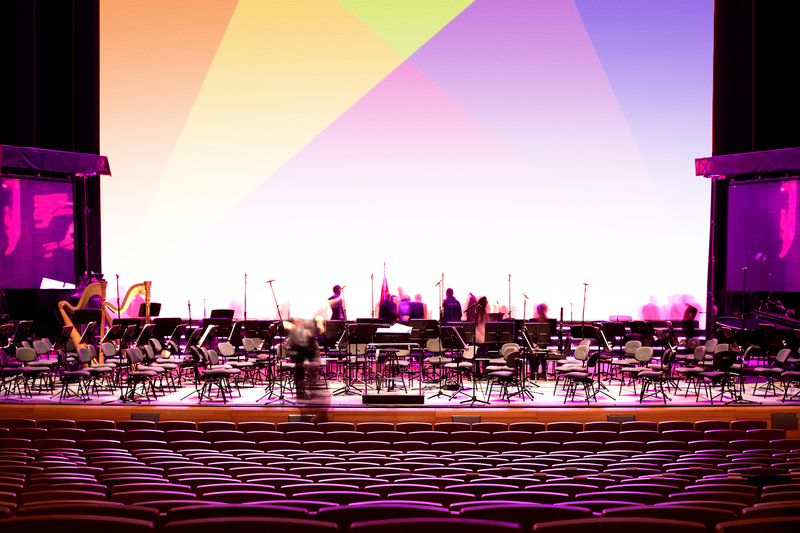 The festival's performances take place in historic and formal auditoriums. 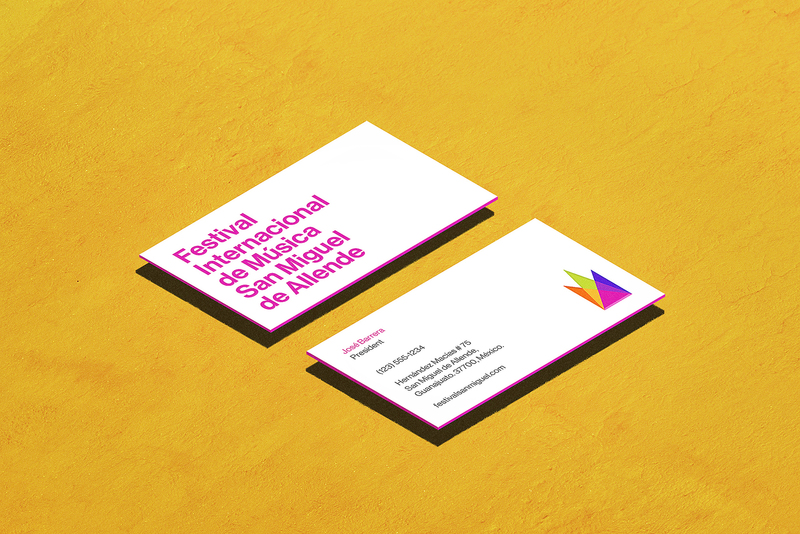 Subtle brand-colored spotlights help tie together the identity with the primary colors and the logomark. Overall, the brand helps bring the colorful city experience from the outside into these contrasting auditoriums.